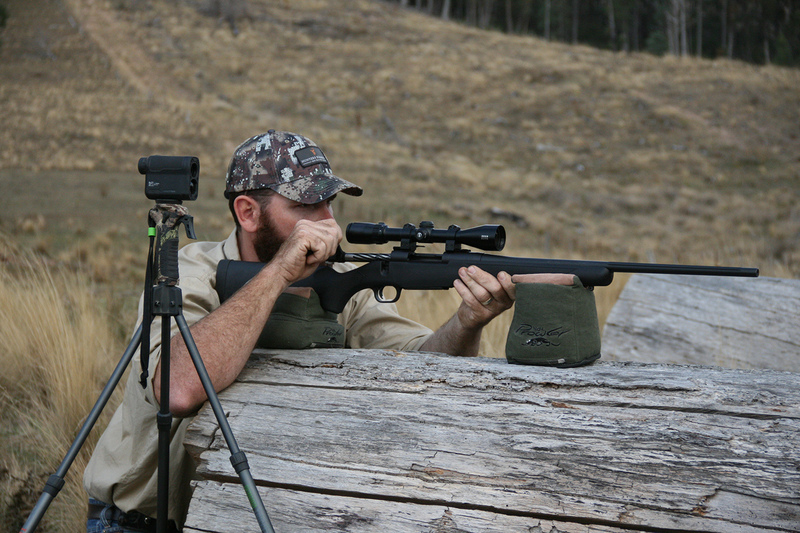 Finding the right rifle for you is important; each brand of rifle has its own feel, fit and level of comfort. 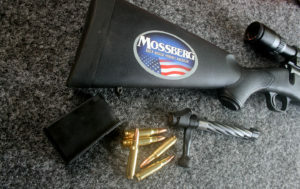 We are now looking at the range of rifles from Mossberg starting with the “Patriot”, the rifle we are trailing features a synthetic stock, blued barrel and chambered in .308win. 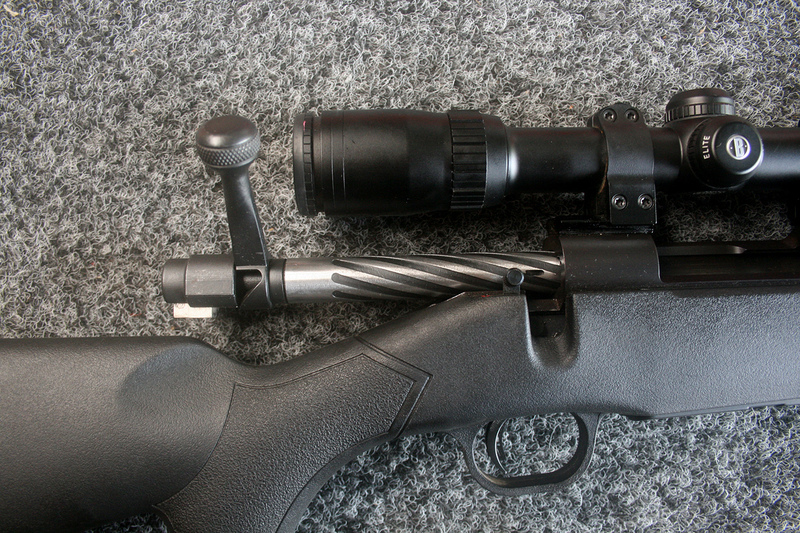 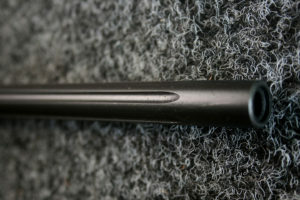 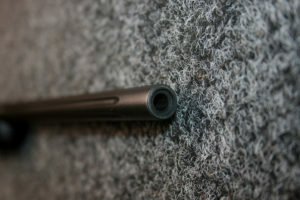 The Bushnell 3500 series scope is mounted with Warne rings and weaver bases to the receiver. 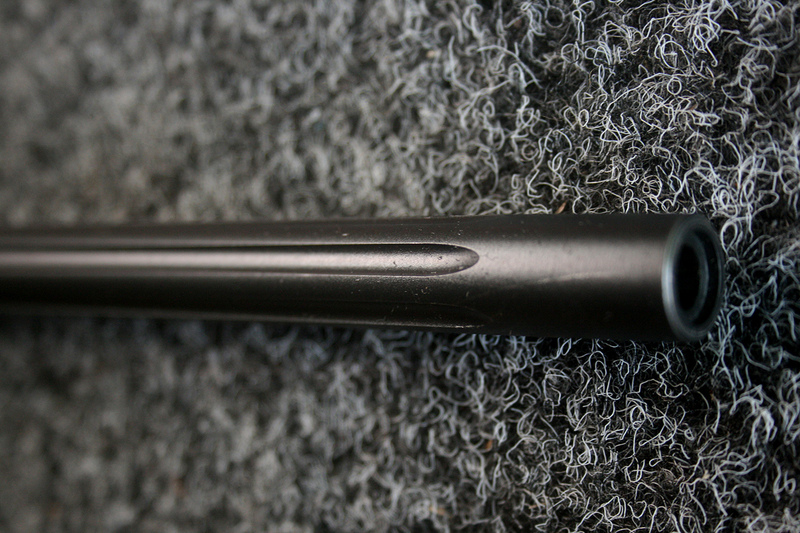 The Patriot features a 22inch, 10:1 twist barrel with a recessed crown for maximum accuracy. 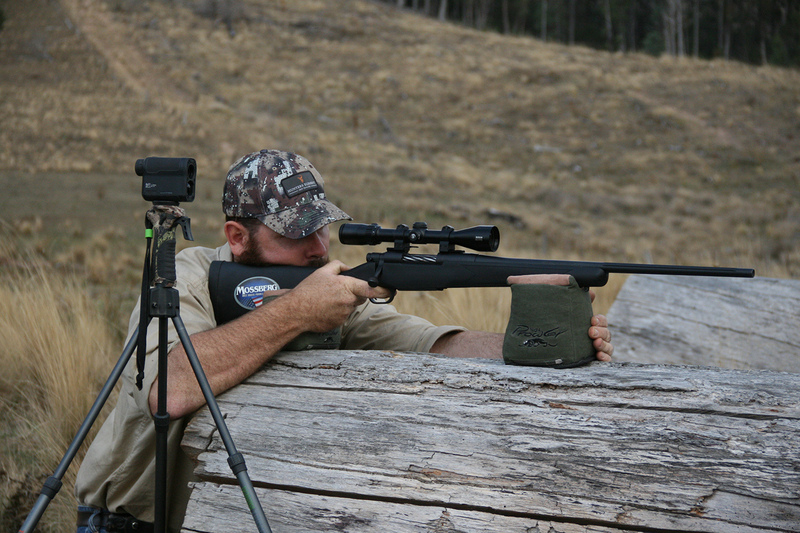 The 22inch barrel is perfect for pushing through the dense Aussie scrub or mounting the rifle on the front of your quad bike, and is finished off with stylish fluting. 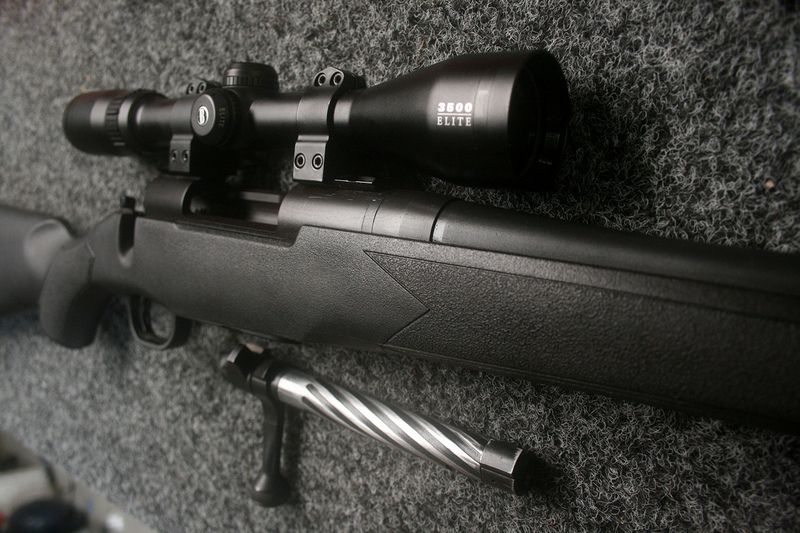 The Patriot series feature a visually appealing spiral fluted bolt and large bolt handle offering plenty of grip giving the shooter the maximum advantage when delivering quick follow up shots. 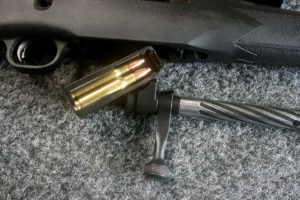 The magazine is a detachable box style with a 5 round capacity that makes loading and unloading fast and safe. What do we like about this rifle? 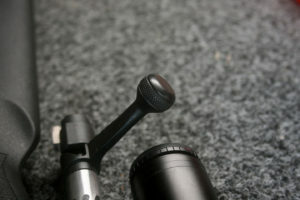 Its light! Coming in at 2.94kg (bare rifle) 3.28kg (scoped) it made this rifle rather comfortable to hunt the hills with, at first we were concerned about the recoil due to its light weight design however the rubber recoil pad is very soft and takes the edge off the bark. 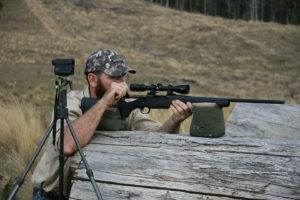 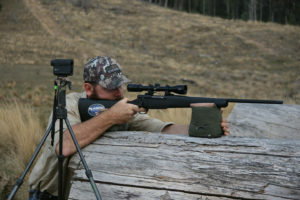 The patriots accuracy straight out of the box was impressive using the Federal Vital Shok 308Win 130gr Speer HP rounds. 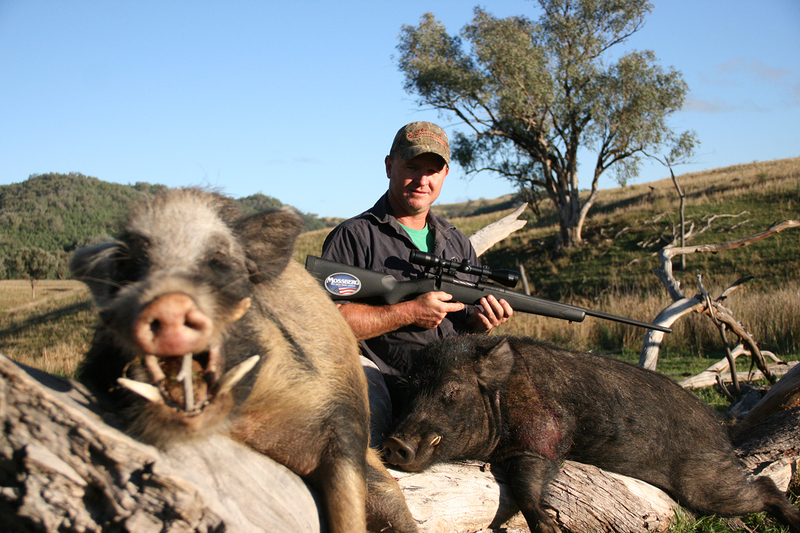 The Mossberg Patriot hunting rifle can handle punishment, it has lived on the quad bike, behind the seat patrolling paddocks and lack of cleaning but still performs as well as it did the day we opened the box. 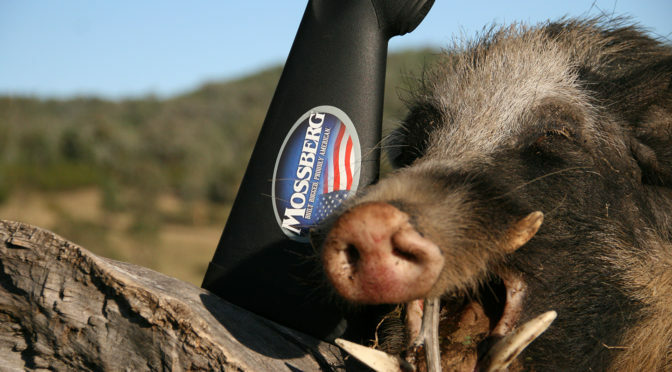 If you are looking for a rifle that fits a tight budget and delivers great results then consider the Mossberg Patriot next time your at your local gun shop!